While snooker’s biggest days might be in the past, the sport still has a loyal following and events like the UK Championship, the Masters, and the World Championship still get huge viewing figures across Europe on the BBC and Eurosport, not to mention across Asia where the game is massively popular. Since Barry Hearn took over as the boss, he’s secured some great sponsorship deals for World Snooker and that means more tournaments, and more opportunities to bet on the game. In this article we’re going to run through the different types of markets on offer in snooker betting, and the structure of the season. At the start of a tournament you’ll be limited to a few bets like who you think will be the outright winner, or whether there’ll be a 147 made and how many century breaks there’ll be in total, but as soon as the draw is made and the tournaments starts you’ll have a massive range of markets available for each match. Obviously you’ll be able to bet on who you think will win the match, but another popular type of bet is the ‘handicap’ where you can bet on whether or not a certain player will win if he’s given a head start. The number of frames head start is usually decided by the bookie before the match. For example, in the 2013 World Championship final where Ronnie O’Sullivan played Barry Hawkins the handicap was set at 6 frames, so what you would be betting on is whether Hawkins could get to 12 before O’Sullivan got to 18…which he did incidentally, only just. You’ll typically get odds of 10/11 or so on both players in the handicap market and when you’ve been betting on snooker for a while, you’ll be amazed at how often the bookies get the handicap right on the money. As well as handicap betting you can bet on the correct score, a market which gives a really nice return if you get it right as well as which player will have more centuries and how many there’ll be in the match. With improvements in technology in recent years, it’s now even possible to bet live during the match on each frame. As soon as a frame ends, the online bookies will have the odds up for the next one, and you can keep betting right up until the last ball is potted, with the odds constantly changing. If you have tickets for a match, it might be worth loading up some mobile betting apps on your smart phone to see if you can get a bet on as soon as a player misses, as the bookmakers have to rely on TV pictures which are a few seconds behind! How is the Season Structured? A few years ago there were only a few tournaments and snooker was in a bit of a bad way, but as mentioned above promoter Barry Hearn has changed things around and nowadays there are tournaments nearly every week during the season. Traditionally the season started around September with the ‘Grand Prix’ being the first major ranking event, now however the season kicks off in June in Australia with the Australian Goldfields Open being the first ranking event. All ranking events before November and the prestigious UK Championship take place outside Europe and the season continues right up until the first week of May when the World Championships take place at the famous Crucible Theatre in Sheffield. In total, the 2015/2016 season has a total of 10 ranking events. The player rankings are calculated using a points system which takes the last 2 years into account. Previously the rankings were updated only ever year, but now they’re updated after each tournament. The rankings are important as they dictate the seeding for the tournaments. It used to be the case that the top 16 players qualified automatically for the final stages of ranking events, but recent changes have meant that top 16 players will now have to play a single qualifying match to reach the tournament proper. This decision hasn’t been welcomed by many of the top players. Although there’s talk of ‘burnout’ among a lot of the top players with the length of the season and the amount of travelling involved, it’s great news for those who like to bet on Snooker as it means that you’ve got action almost all year round. This gives you the opportunity to really research how players are playing and if you’re into the sport and understand the flow of the game then it represents a good opportunity to make some money. There are a few pointers which can help you out when betting on Snooker. 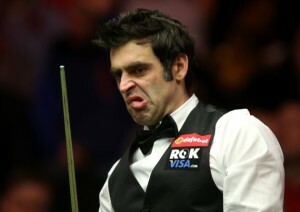 The first, and most obvious one is to never bet against Ronnie O’Sullivan! On a serious note, many snooker fans love the game and have been watching it for years. That knowledge of the game gives you an insight into ‘momentum’ in matches and those who have been watching snooker since the ’80s often have an innate ability to know when a player looks ‘rattled’. This kind of knowledge, that only comes with experience, can be invaluable when betting in-play on matches. Another tip is to do your research. With the long season now you have the ability to see how a player has been playing in the very recent past and sites like this one, which is packed with snooker stats and head-to-head records should be your first port of call when you go to price up a snooker match. There’s no substitute for hard work when it comes to being a winning gambler and if you want to succeed you have to put the hours in studying the stats!